A state transition table is an alternative way of expressing sequential modal logic. 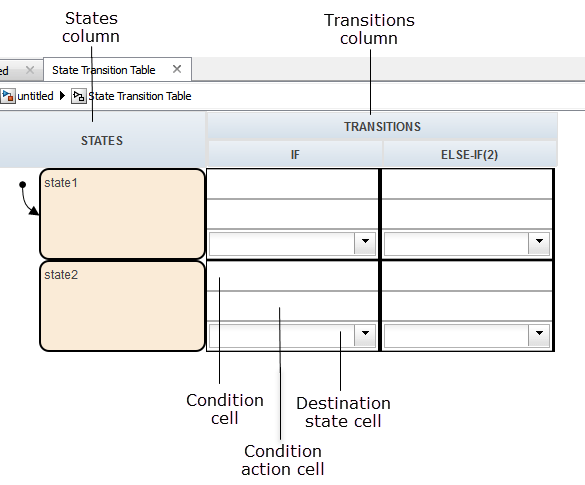 Instead of drawing states and transitions graphically in a Stateflow® chart, use state transition tables to express the modal logic in tabular format. State transition tables are supported only as blocks in a Simulink® model. When you add or remove states from a chart, you have to rearrange states, transitions, and junctions. When you add or remove states from a state transition table, you do not have to rearrange any graphical objects. 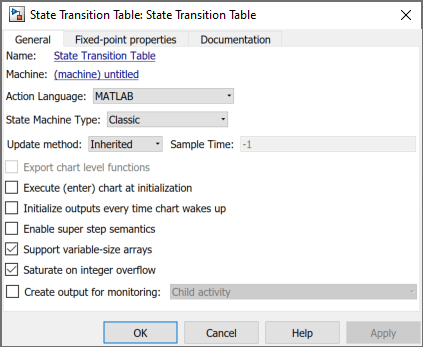 State transition tables support using MATLAB® and C as the action language. For more information about the differences between these action languages, see Differences Between MATLAB and C as Action Language Syntax. If you specify an action in a transition cell, it must be a condition action. State transition tables must have at least one state row and one transition column. Drag a state transition table into your model. To access properties, in the Stateflow editor, select Chart > Properties. These properties are the same as those for charts that use MATLAB as the action language. For a description of each property, see Specify Properties for Stateflow Charts. 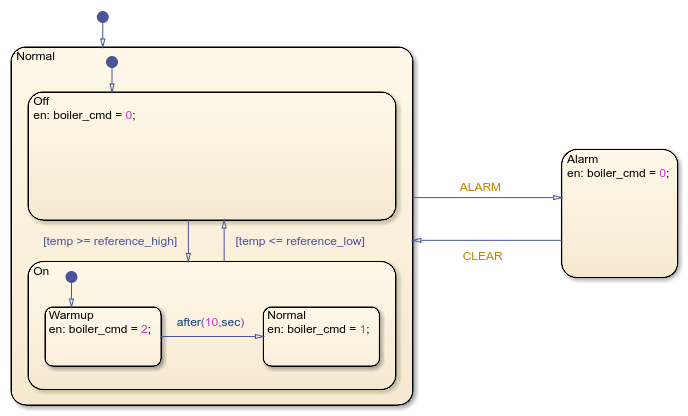 Stateflow software automatically generates a read-only state transition diagram from the state transition table you create. 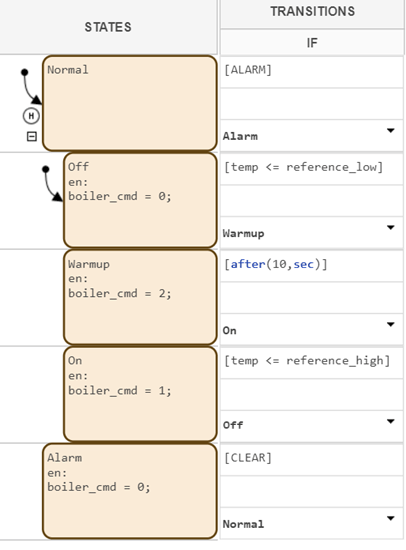 As you enter changes to a state transition table, Stateflow incrementally updates the diagram as well. To see the most up-to-date version of the underlying diagram, select Chart > View auto-generated diagram.